The story of Crobow begins with a rambunctious 15 year-old punk (aka, me). After discovering the Krochet Kids story at a school assembly, I was curious. These three dudes didn’t just crochet: they also built a brand that had a positive impact on the world. So I went home that night and asked my gramma if she knew how to crochet. She did know how to crochet and she agreed to teach me that night. Let’s just say, by the next morning I had my first complete beanie (or toque for all you Canadians) done. Fast forward five years. A thought popped into my mind one Sunday morning as I was getting ready for church. Bow ties. I like bow ties. I think they’re stylish, classy, and unique. It adds something to an outfit. A splash of personality. Everyone’s got that friend who is into them. No pattern, no plan, no nothing. Just me, a crochet hook, and some yarn. Fifteen minutes later I had a bow tie to wear to church. I got more response than I expected. All positive. So I wore it to work. More compliments. So I wore it to the local business events. What do you know, more smiling faces. Some people even wanted to buy one. Hold up, other people want these too? And they’re willing to pay for them? This just got real. Long story short, my co-founder (aka, my best friend from high school) and I launched a Kickstarter. Actually, we did a boatload of work two months before the Kickstarter (if you want details on that let me know). So, we launched, and the results surprised us both. A success! After all the time and energy, people actually wanted the product enough to pre-buy it. That’s pretty cool. Another key statistic to this story was the email list. I know, that’s tiny, but that was the biggest email list I’ve ever made, so I was proud. So we’ve got some sales, we’ve got a little audience. The next step was to make a website and see if people would go there and continue to buy bow ties. After completing all the Kickstarter orders, building the site, and building some buzz for our new website, we launched. Okay, so how were we going to get eyeballs to this new website? Email list — that 129 people, none of them converted. I sent 2 textbook emails and got no response. Instagram promotion — 600 followers, but none of them bought when we launched our website. Unfortunately, though the Kickstarter was successful (and that was a grand an glorious time), the novelty had wore off for our followers (or so I suspect). So after long deliberation, my co-founder and I decided to close up shop. It was a successful project, and we were content with leaving it at that. If nothing else, it put a little extra change in our pockets for the coming holidays, and it’s something fun to put on our resumes. For Kickstarter you MUST bring your own audience. You can’t just publish it and hope people see it. They will not. 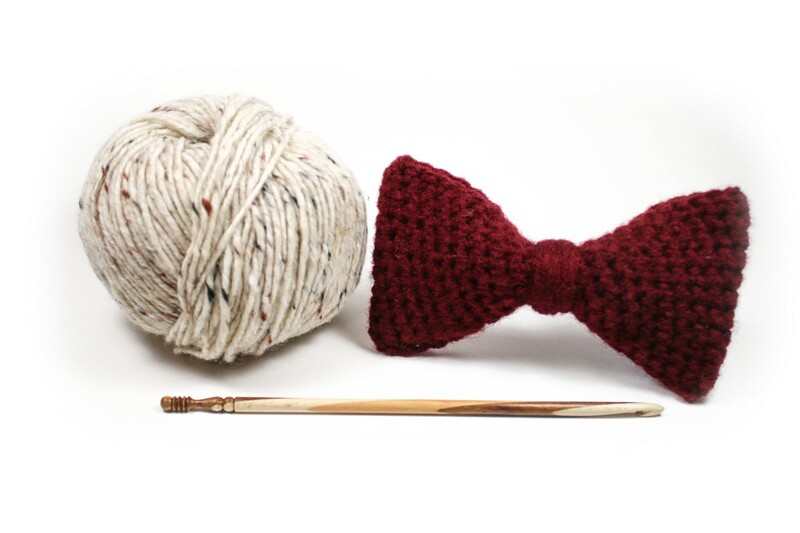 There’s something magical about yarn and handmade goods. Maybe that’ll come up in an idea later on. Create a shipping process BEFORE you have to start fulfilling orders. Packlane is awesome for quick, custom product packaging. Above all: know who your audience is and where they are. Without that, you’ll blindly spend money on things that don’t matter.